Richard Owen lives in New York City, where he works as the founding director of an interesting cultural organization. Social value comes in all forms. Richard talked to us about his love for classical music and the new generations of people who dedicate their lives to it. I have been a classical music lover since birth—lying on my mother’s lap and listening to her sing. She sang for the Metropolitan Opera in New York and many other opera companies. My father was a federal judge, and he also wrote nine operas. As a child I studied piano and voice, and sang at the Met as a boy soloist. What have you done since college? I got a Masters and studied conducting at conservatories in New York City and Vienna. Later I worked as an orchestra conductor in Germany and the New York Philharmonic. Closer to home, I married a lovely and talented cellist and started a family (now 3 boys). 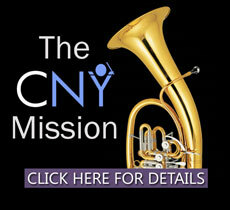 My wife and I then founded a non-profit organization, Camerata New York orchestra [http://www.cameratany.org/]. Camerata is a fully professional chamber orchestra (up to 35 players) that gives between six and eight annual concerts in various venues throughout the New York area, including Carnegie Hall, St. John the Divine, and Lincoln Center. We also provide free concerts and outreach to local schools. 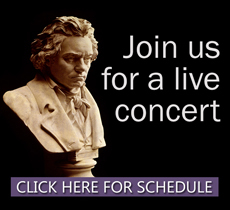 We perform a wide variety of music from baroque to modern. Among others we’ve collaborated with Alec Baldwin (narrated Peter and the Wolf), Alvin Ailey, and soloists from the Metropolitan Opera and New York Philharmonic. Founders of entrepreneurial enterprises start with a need and see an opportunity. What need is Camerata filling? The only way musicians can achieve a professional status following conservatory is by performing professionally and gaining exposure to the community. As a result of ongoing funding cuts to the arts, highly trained young musicians have practically no opportunities nowadays to perform in a professional ensemble and make a living as professional musicians. We provide badly needed performing opportunities to the best and most worthy young musicians, as well as cultivate musical appreciation in society. We hope through these opportunities to help our young musicians make the transition to professional status. 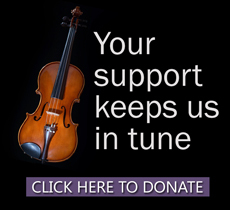 In light of dwindling arts funding and appreciation, classical music is not a vital part of our culture. Schools and governments continuously cut arts funding and aspiring musicians have almost no opportunities to pursue a musical career. My wife and I wanted to fill this need and provide experience and exposure to talented young musicians and cultivate a new generation of music enthusiasts. What do you think prepared you to take this on? I grew up in music. My parents ran an opera company for ten years and produced numerous musical productions in New York. I’ve also had direct experience in the business of music in the U.S. and Europe, so I know about fundraising in the arts. We’re writing these days about success and social value. Why do you think this enterprise is socially worthwhile? Music is a necessity for life. Without it I don’t think people’s lives would be as full or fulfilling as they could be. Bach said, “Music is a gift from God.” Sadly, we live in a society today that has forgotten that music is a gift from God. We don’t adequately support the finest music and those who devote their lives to performing and preserving it, who give us the chance to make it a vital and integral part of our everyday lives. 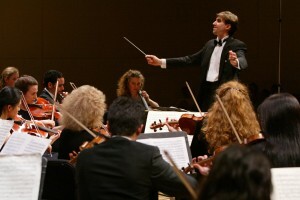 Most European and Asian governments provide direct financial support to maintain classical music in society. The U.S. does not. Music and art is dependent on private philanthropy for its existence. In addition, numerous studies have shown that classical music exposure increases brain functioning. The U.S. continues to lag in test scores and performance internationally, and yet music funding gets cut every year. Camerata New York does everything in its power to foster greater music appreciation in our society. What is “success” for Camerata? For you? Camerata has successfully provided 6-10 classical annual orchestra concerts in venues throughout NY, NJ and CT for over ten years. The repertoire includes standard classics to modern composition. Critical success has been overwhelming. [“critical success” Click here for Reviews] We survive on a modest budget of under $100,000; we have never been in debt. I think success for Camerata will be establishing the ensemble as a vital component of the New York musical community—as a crucial outlet for young musicians and as a mechanism for fostering music appreciation in our culture. In the end, for us simply making music and bringing pleasure to others seems like a worthwhile way to enrich our community and preserve our musical heritage for the future.